Introducing the heavy duty automatic coal feeding system for all types of heating system. The advanced features of Chain Grate Stoker ensure steady and constant temperature for drying and big savings on fuel consumption. The coal fed in the coal hopper is burnt over the chain grate with the aid of air from a Forced Draft fan. 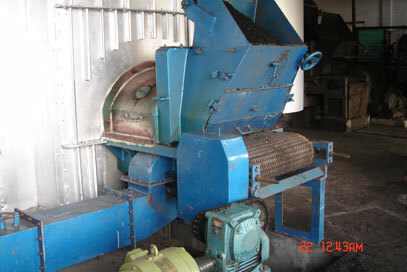 Depending on heat required by the drying system the coal feed is controlled by means of controlling chain speed and coal bed thickness over the chain grate with help of fire door.